Upcoming Summer Events on the North Shore! Enjoy a variety of food, live music and entertainment for everyone at Northbrook’s annual summer festival. Offering a large carnival area, live music every night, bingo, food from local vendors and a beer and wine garden, there is something for everyone – Whether you’re a family hoping to get the kids outside for the day or you simply want to meet good friends for a night of music and food. The annual Lakeshore Arts Festival has long been a big draw for residents and visitors alike. Showcasing beautifully hand-crafted art by over 100 artists in 11 categories, the festival also features live music and a children’s craft tent. Browse for unique, one-of-a-kind gifts, support local North Shore artists and enjoy a day at Evanston’s picturesque lakefront Dawes Park. Admission is free and eight local vendors will also be serving a variety of food and snacks to enjoy while perusing the arts and crafts. Enjoy stunning stunt-kite performances that will be sure to take your breath away at the famed Chicago Botanic Garden. These performances, set to music, feature the very best of the Chicago Fire Kite Team and the Kite Society of Wisconsin and Illinois. Food and beverages are available for purchase while watching the soaring, colorful kites demonstrate precisely detailed routines that will wow audience members of all ages. Skokie’s annual end-of-summer bash is not to be missed! 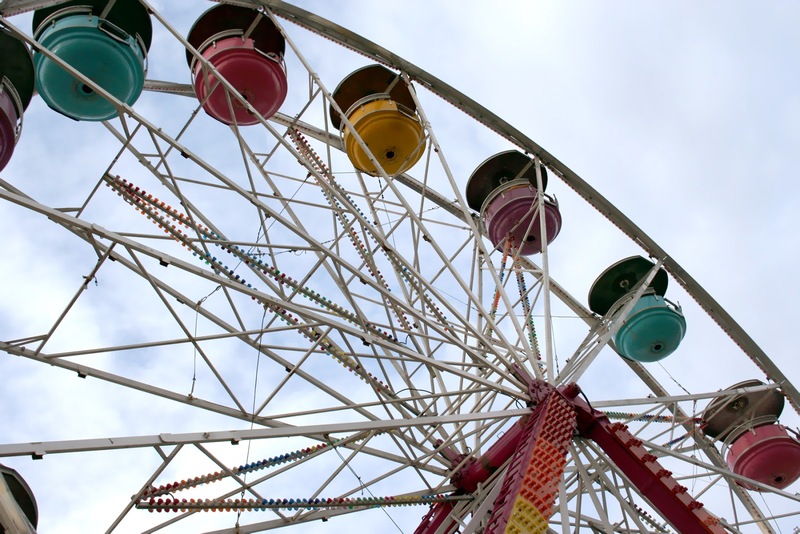 A summer free-for-all offering carnival rides, a classic car show, bingo, silent movie showings at the Skokie Theatre, nightly live music and food from dozens of popular local vendors, there is something for all interests and ages. Whether your idea of fun is exploring unique finds at the arts and crafts fair, flying high on thrill rides, enjoying live music or sampling food from North Shore restaurants, the Skokie Backlot Bash has drawn those living on the North Shore for many years. As a North Shore real estate expert who both works and resides in the area, I have attended many of these summer events and highly recommend checking them all out! As always, whether you’re interested in buying North Shore real estate or you have questions about selling on Chicago’s North Shore, I encourage you to contact me. I have been a North Shore Realtor for many years and know the ins and outs of every community on Chicago’s North Shore. Together, we can find that dream home in the safe, convenient community that you want. Help Sell Your North Shore Home By Pricing it Correctly! In working as a North Shore Real Estate agent for over two decades, one of the things on the top of a seller’s mind is the listing price for their home. Sellers want to know that the time, energy and funds they’ve put into their home will give them the return on investment they were expecting, and that they will be making money on their home. Coming up with the correct listing price isn’t just coming up with a number, but there are a number of aspects that go into pricing your home correctly. While sellers may have a goal of what where they’d like to price their home, over pricing your home can be detrimental to the entire home selling process. Overpriced homes are often overlooked and multiple price drops over time only signals desperation. However, you also don’t want to sell yourself short. Here are a few key tips to know when it comes to coming up with a listing price for your North Shore home. Of course, your North Shore Real Estate agent will be with you to guide you through each step of pricing your home. 1. Study past sales- While this will take a little work, getting to know what other homes in your town of Winnetka, Glencoe, Highland Park, Northbrook or Deerfield have recently sold for will be helpful in giving you appropriate expectations. Your North Shore Real Estate agent can also provide you with this list and can explain more about the current market value. 2. Do not confuse active listings with past sales- For those who are new to selling a home, this is key. The active homes on the North Shore Real Estate market don’t reflect what the actual selling price for the home. While these homes are your competition, they shouldn’t be the determining factor on the price point for your home. 3. Do not overprice because you have the time- This can be one of the biggest mistakes sellers can make. They reason that, since they’re not in any hurry to sell, their North Shore home can sit on the market. The reality? This can have the opposite effect on your home. 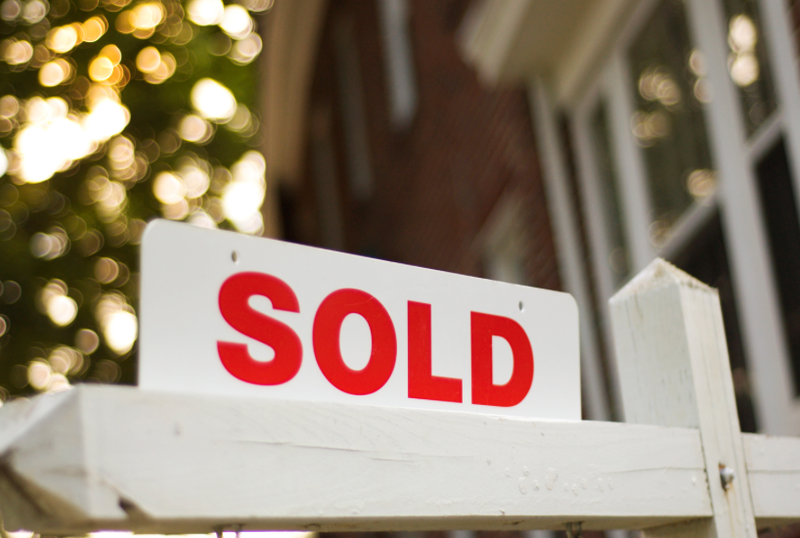 The longer your home sits on the market, the harder it is to sell. Buyers will assume there’s something wrong with your home, or may not even bother looking at your home if it’s overpriced. 4. Leave some room for negotiation, but don’t overreach- You never want to feel like you’re giving your home away, but you will want to leave some room for both parties to negotiate. 5. Think like a buyer- You’ll want to talk with your North Shore Real Estate agent about current buyer trends. What are the top things they’re looking for in a home? What type of flooring or finishes are desirable? If you’ve been out of the market for some time, chances are things have changed since you last bought a home. Getting to know what buyers are looking for will help you evaluate your home, help you consider any updates you’d like to make, and allow you to price your home accordingly. 6. React swiftly and decisively- Being proactive with the price of your home is key. You want to remain on top of what buyers are saying during the showing of your home and how the market is moving. Your North Shore Real Estate agent will guide you with this information, and you’ll want to be prepared to respond quickly in order to keep buyers interested in your home. Don’t delay the inevitable! Armed with these tips and an experienced North Shore Real Estate agent, you’ll be able to come up with a listing price that’s fair as well as competitive for your North Shore neighborhood. If you have further questions about selling your North Shore home, or you’re ready to get started with getting your home on the North Shore Real Estate market; please feel free to contact me today! Don't Miss These Great North Shore Events This Weekend! Summer on the North Shore is a beautiful time of year. 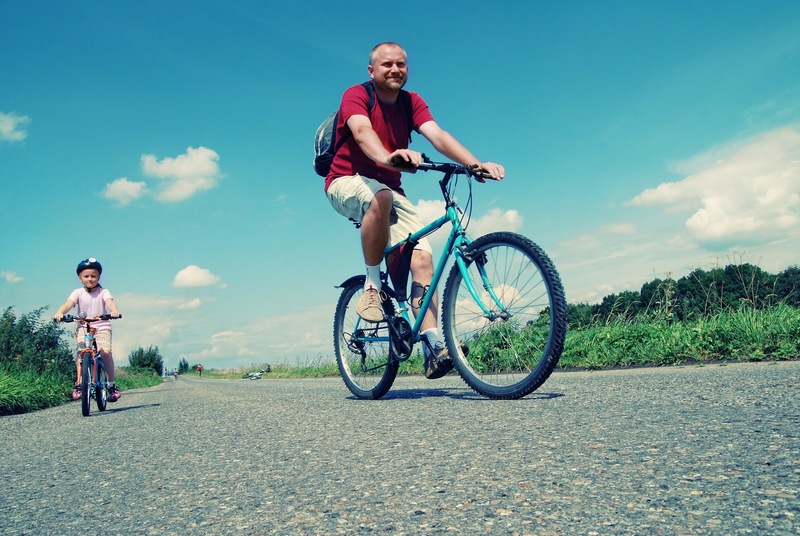 Whether you live in Winnetka, Northbrook, Glencoe, Highland Park, Deerfield or any of the other North Shore communities; each charming neighborhood has something unique to offer and gives you a way to experience the outdoors in a fun way. As a real estate agent serving the North Shore community for a number of years, I always enjoy pointing out what’s taking place with various events, attractions and ways to interact within your city! I know that buyers appreciate getting to know the area in which they’re looking for a home before deciding to buy because they see the value in the lifestyle the area has to offer. It’s my goal to provide those who stop by my North Shore blog with the most current market news, home buying and selling tips, as well as what’s happening in these vibrant North Shore communities! If you’re looking for something to do this weekend, or you’re searching for a North Shore home this weekend and would like to experience the North Shore in a different way; be sure to check out these events! - In conjunction with The Big Dog Show, the Downtown Highland Park Alliance presents the Adopt-a-Dog Runway Show. Join friends from local animal rescues and shelters as they strut their mutt’s on the runway! Patrons will enjoy this fun display of “Man’s Best Friend” while also having the opportunity to check out the “Big Dogs” in Downtown Highland Park. - For over 40 years, the Winnetka Chamber of Commerce has been hosting this free event! 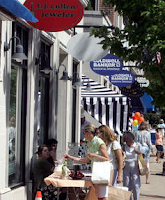 Both Winnetka and Northfield will be featuring local goods such as clothes, jewelry, books and much more from stores that line their charming streets. These local retailers have special prices and unique offerings for this shop till you drop weekend! Live music, local food and even displays by charity organizations will enhance the shopping experience. The Sidewalk Sale will also feature a Kid-entrepreneur section. This gives children the opportunity to get creative as they’ll sell items such a duct-tape wallets, crafts and other home made goods. Children will enjoy having something creative to do and will get a feel for business and being involved in their community. Don’t miss out on great shopping and getting to enjoy these charming areas! - After checking out the sidewalk sale, venture over to the “Let Loose on Lincoln” Block Party. There will be lively music, delicious food, beer and wine. Bands will be playing throughout the day and offers a great backdrop for spending the afternoon outdoors. “Let Loose on Lincoln” A Block Party is organized by the Winnetka-Northfield Chamber of Commerce and the Winnetka Park District. Don’t miss out on this fun event! I hope you’re able to take part in experience these events this weekend! If you’d like to learn more about living on the North Shore or are interested in seeing some of the homes currently on the North Shore Real Estate market; please contact me today! Glencoe Active Listings: There are a total of 70 properties actively on the market with the average price of $1,698,988 in Glencoe. Glencoe Sold Listings: 15 properties closed last month in Glencoe with an average sales price of $1,271,047, the average time on market for these properties was 185 days. Winnetka Active Listings: There are a total of 114 properties actively on the market with the average price of $2,518,893 in Winnetka. Winnetka Sold Listings: 51 properties closed last month in Winnetka with an average sales price of $1,356,485, the average time on market for these properties was 49 days. Highland Park Active Listings: There are a total of 231 properties actively on the market with the average price of $1,194,290 in Highland Park. Highland Park Sold Listings: 62 properties closed last month in Highland Park with an average sales price of $525,611, the average time on market for these properties was 76 days. Northbrook Active Listings: There are a total of 151 properties actively on the market with the average price of $772,875 in Northbrook. Northbrook Sold Listings: 73 properties closed last month in Northbrook with an average sales price of $490,257, the average time on market for these properties was 47 days. Deerfield Active Listings: There are a total of 92 properties actively on the market with the average price of $693,536 in Deerfield. Deerfield Sold Listings: 48 properties closed last month in Deerfield with an average sales price of $344,009, the average time on market for these properties was 62 days. 5 Summertime Activities for Families on the North Shore! The summertime months on Chicago’s North Shore are some of the best. With so much diversity, culture and activity, residents know that there is always something for everyone. No matter which North Shore community you may live in, there are plenty of outdoor summertime activities for families throughout the area. From along the scenic lakefront in Winnetka and Evanston through the safe, welcoming communities of Highland Park, Glenview, Lake Forest and Lincolnshire, families flock to purchase North Shore real estate. As an experienced North Shore Realtor, I can attest to the area’s gold standard of living – From award-winning schools and safe communities to plenty of options for dining, shopping and entertainment, many homebuyers have utilized my professional experience and local expertise to find the North Shore community just right for them. Because Chicago’s North Shore is so popular with families, I wanted to take the opportunity to highlight some perfect local summertime activities for those with children of all ages. Here are some great ideas for enjoying the warm weather and bright sunshine outside with the kids! Fly High on the Trapezes at The Flying Gaonas Gym. A perfect way to get out of the house, be active and get that thrill-seeking adrenaline rush, this trapeze and circus arts school in Winnetka’s Hubbard Woods Park is ideal for kids searching for adventure. Offering a variety of classes, from first-time trapeze sessions to intermediate lessons, this unique experience is sure to be a memorable one! Find out more about The Flying Gaonas Gym by clicking here. Spend a Day at the Chicago Botanic Garden. There’s a reason that the Chicago Botanic Garden is well-known not just throughout the North Shore, but through all of Illinois. Beautiful displays of flowers, foliage and plants light up miles of gardens and walking trails with bold colors and photo opportunities at every turn. The Chicago Botanic Garden also offers many special events and exhibitions, which you can discover by visiting their website. Pack a Picnic and Head to Ravinia. Located in Highland Park, Ravinia is a beautiful outdoor theatre that pushes appreciation of art and community. Whether you plan to bring the kids to see a special concert or simply soak up local music by a variety of artists, be sure to pack a picnic. Ravinia features all outdoor seating on its expansive lawn and bringing your own food, beverages, blankets and games to enjoy while listening to that day’s scheduled artist(s) is encouraged. See who is scheduled to perform by checking out their website. Explore the Picturesque Skokie Lagoons. Overlapping from Glencoe into Winnetka, this expansive nature preserve is a relaxing spot to walk, bike, fish, boat and bird-watch. Seven inter-connected lagoons provide ample scenic beauty while two bike paths wind around the bodies of water. Because the lagoons are shallow, typically 10 feet deep or less, canoes, kayaks and rowboats are available to rent and enjoy. Find out more from the Cook County Forest Preserve District. Discover The Grove’s Wetlands and Nature Museum. The Grove is a well-known area of land preserved in the village of Glenview. Encompassing 123 acres, there are miles of walking trails that are meticulously preserved by the Park District. The nature museum is home to a rich source of local history and environmental knowledge. An ideal place for a relaxing walk or to simply enjoy the North Shore’s beautiful summer weather, you can learn more about The Grove at their website. I hope that many of you are able to get out and enjoy much of what the North Shore has to offer! Whether you’re interested in buying North Shore real estate and moving to the area or you’re a longtime resident, please contact me with any questions. I’ve been a North Shore Realtor for many years and am always available to buyers and sellers throughout these fantastic communities.